WOW there have been some great challenges going on, haven't there!??? WHAT FUN! 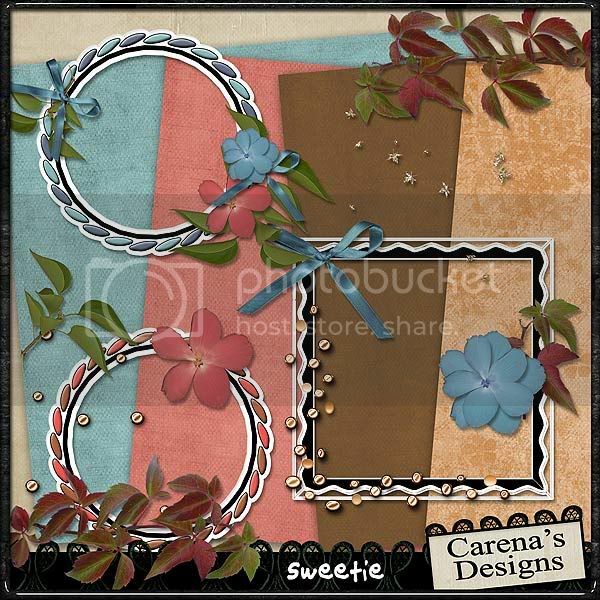 This month Carena has kindly stepped up to the plate and whipped us up a GREAT challenge! Can hardly wait for you all to see the mini she has cooked up for you!!! And don't procrastinate checking out my store! 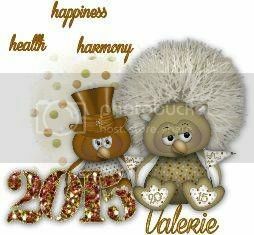 Hi everyone and welcome to a new month and lots of fun. Scrapbook Max has kindly agreed to provide some prizes for participants in the challenge. As it's very hard to judge layouts, because you are all so awesome, I thought I would install the help from Mr Random to pick the winners. Each layout added to the gallery will be numbered (as per their position in the gallery - starting with 1 for the 1st layout etc. At the end of the month I will use a random number generator to select 2 winners. The more layouts you enter - then the more chances of winning. Take this challenge, and you have a chance to win NEW! Scrapbook MAX! 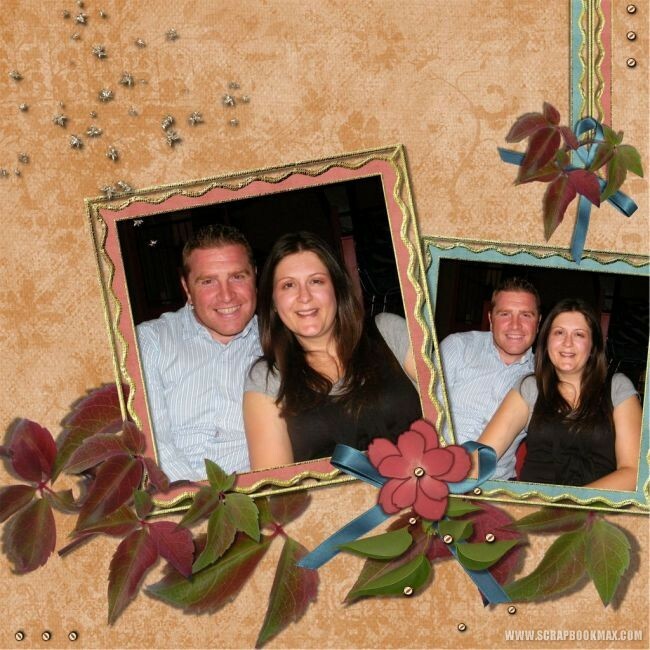 2.0 software by electronic download, the fastest, most creative digital scrapbooking software program available! Or, if you already have Scrapbook MAX! 2.0, you can win your choice of one Scrapbook MAX! 2.0 Expansion pack: either "Bundle of Joy" or "Back To School" by electronic download! I'm keeping it simple - Use as many elements from the mini kit in your layout as you can. Use shapes to make more interesting and enjoy working with clusters of elements. Have a play around with some sort of word art. (anyone making templates with the mini are welcome to add them in this thread to share with others). Most of all – Have fun. And now - here is what you will be working with. Hopefully I've posted all requirements etc that I have to - if not or you're not sure of something - Fire ahead and post your questions in this thread. Bonus kit for anyone spotted wearing my blinkie in your signature. Just getting started on this one but here's three frames I 'altered'...using Carena's papers & frame..... yours if you want them. Thanks for the lovely kit Carena, will put my thinking cap on. Beautiful layout. Thank you for the freebies--these I sure can use. Carena love your kit--I will post something very soon. Thanks. And they are off and running! WOWZA what a great start for the month!!!! I am in awe already!!! Lovely LO's everyone and thank you thank you for the extra goodies!!!!! 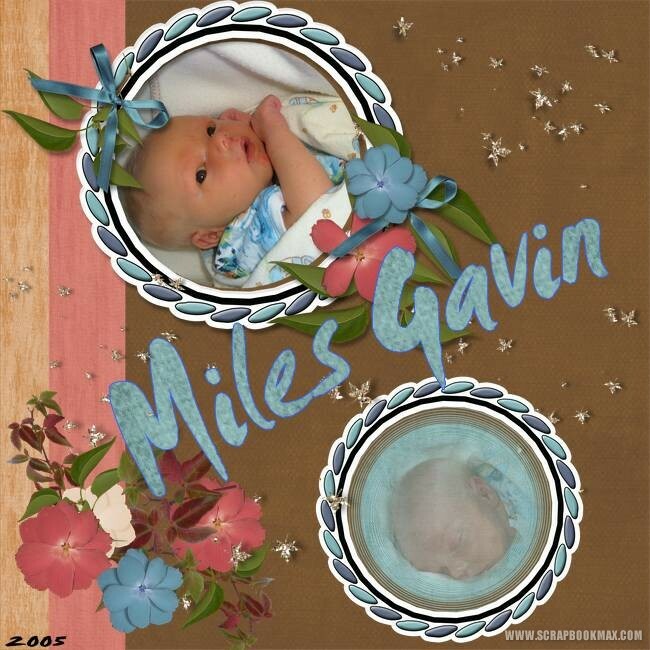 This is my youngest grandson when he was about 2 weeks old. So Sweet!!!! Great Job Val!!!! Lovely kit, loving the colours and I'm playing about with it. Back tomorrow with something. Ummm, scratching my head. Not heard of anyone having trouble with 4shared. I also have a mediafire account. Don't know how else to get them to you. Anyone with ideas? Mary - thanks for the extra elements you've created - great job. So many pages already and it's so early - you guys are really quick off the mark. LOL I haven't had the chance to make a page yet myself.